Hello Friends happy Friday! You know those times when you open up your refrigerator and you are like what the heck is going on in here? Friends me too! Especially when I say oh ya I forgot I bought that and then I see that it’s expired! GRRR! 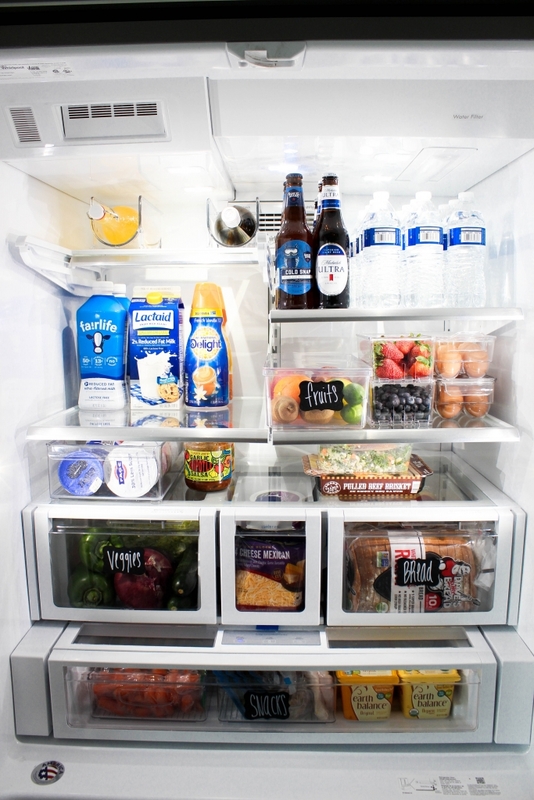 No worries though today I’m giving you an inside look at how to organize your refrigerator the real way because honestly not all of us have a green house in our fridge. At least not me I’m a real girl and sometimes I just need to indulge in things that I like. First things first we need to take everything out of the refrigerator so we can clean it. When I cleaned mine out my goodness there was so much crud on the glass and in the drawers I looked at Chris and said that’s disgusting! Once everything is out of the fridge take your thieves spray or what ever cleaning disinfectant you have and clean away! Now that we have a clean refrigerator it is time to go through items that are expired and toss them in the trash. If you have food that is still good but know you aren’t going to eat it then give it to a friend or family member. I give something to my parents and then of course my younger brother. He will eat anything! Also be sure to clean lips and jars. The ketchup lid is always the WORST! Depending on what you buy the most of will help you determine what storage items you will need to buy. In our home we have a lot of easy to grab snacks and lunch items. Things such as yogurts, cheese strings, baby carrots, lunch meat and cheese all get a storage container making it easy find and keep items in the correct space. Along with clear containers for items I like to suggest using the chalkboard labels. I didn’t go to crazy with them just a few to help me remember that things have a certain space. To start make sure you place veggies are in the allocated crisper. 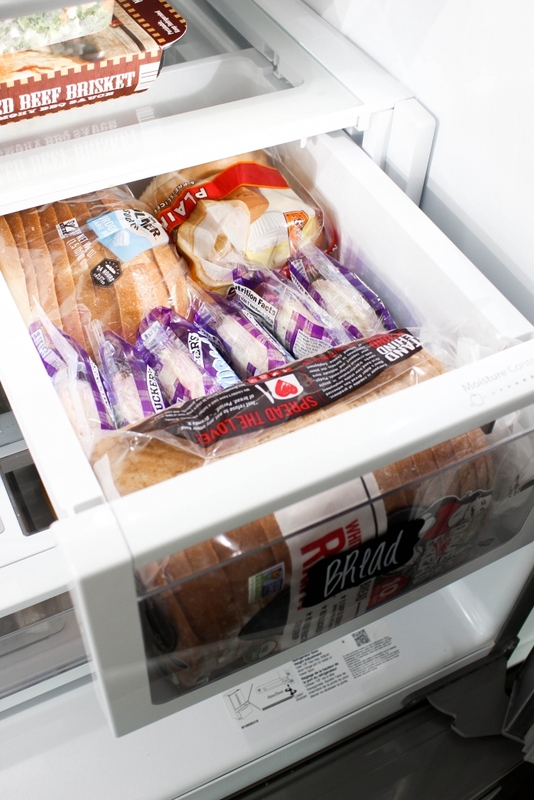 If you have a fridge with drawers already make sure you utilize those! No crisper no problem place them in a container towards the bottom middle section of the fridge. Really anything that can spoil your best bet is to keep them at the bottom since it is the coldest area. Fruit should be separated form veggies so those would go in another separate container. Keep items that you would normally go to a lot of the time in one spot so you don’t have to open various drawers. I like to keep our meats, cheese and pre-made snacks in one space. As for the dairy in our fridge I prefer it to be kept out of the side doors except for the occasional portion shake. The side doors should be for condiments or beverages. Leaving open space in your refrigerator is a great area for placing leftovers or tasty impromptu treats that you pick up! I’m a sucker for the sweets counter! In one of open space in the refrigerator is where Chris will store his lunch for the next day. If you meal prep this would be the perfect spot to place your meals. I’ve never been too into the meal prep thing but I do like to do smaller meal preps like lunch. 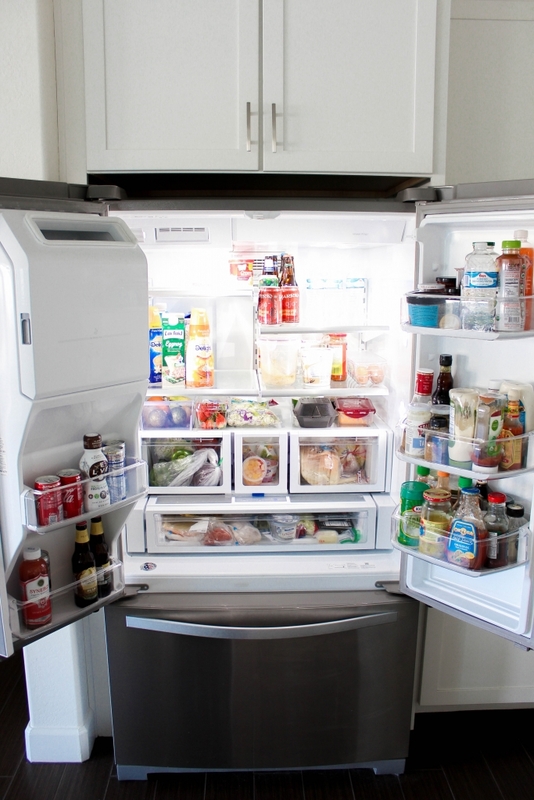 I hope that today’s post helps you get your refrigerator organized so that it will make your life a bit simpler. I know that since doing this it has really helped Chris and I more accountable to keep it clean and organized. It also helps Chris and I to see what have and need quicker for when we make meals. If you have any more tips I would love to know them so that I can try them out! Leave them in the comments below! Below you will also find some helpful items to get you started on your organizing journey!